All great businesses start around the kitchen table. Don’t they? Not on the High Street famously did, as did many of the partners that helped the company flourish. The Cambridge Satchel Company, the maker of colourful leather bags, was also a kitchen start-up. It’s not always in the kitchen, though. Brompton, the bike maker, traces its roots back to a spare bedroom. Photobox, the online prints company, was founded in a garage. But great businesses grow and there are only so many boxes of stock you can pile in the corner of the sitting room before it becomes too much. That’s where our ecommerce fulfilment service comes in. Ecommerce fulfilment, pick and pack, order handling. There are plenty of ways to describe what we do for retailers and brands. But put simply, when our retail clients get an order, we make sure the customer receives that order. The first part of the process is the stock. If you’re buying stock from a manufacturer, we’ll get you to send the stock directly to our warehouse. If your stock is clogging up your hall way or sat in a self-storage unit, we’ll send one of our drivers to pick it up. At the warehouse, we will process all new stock to make sure we have received everything you’ve sent in. We’ll also barcode your items. This helps make sure we pick the right items for your customers and always have an accurate view of your stock. Many of our customers use Shopify, Magento, Wix or Squarespace to create their online stores. Whichever ecommerce platform you’re using, we will help you set-up your store to send orders straight to us. That means, no worrying about orders when you’re out of the office or on holiday. We’re also flexible, though. If you want to send us an order by email, that’s fine too. We’ll set you up with a named fulfilment account manager so you have somebody to send that email to and your account manager will make sure you’re always on top of what stock you have available to sell and what’s running low. In our warehouse, our fulfilment team will be in charge of putting your orders together. When an order comes in, they will go to where your stock is stored, select the right item and then use our own technology to confirm the item’s been picked successfully. If you’re having a particularly busy time, we’ll have the people to look after your orders. When we set up your fulfilment account, we’ll ask you how you want your orders packed. Many of our clients like to use their own custom packaging or to include a promotional postcard or pack their items in tissue. No problem. We’ll also have a variety of mailing bags and boxes that we can use, selecting the most appropriate size for the order. Once your orders are packed up, we’ll add a shipping label and get them ready to dispatch. No more trudging to the Post Office every day or having to wait for the Royal Mail van or courier to arrive. We’ll use Royal Mail for lighter packages and ParcelForce for heavier packages, or those that require next-day delivery. We find they offer the best balance of reliability and value. For deliveries in London, we will also sometimes use our own fleet of vans, which gives us more control over your delivery. 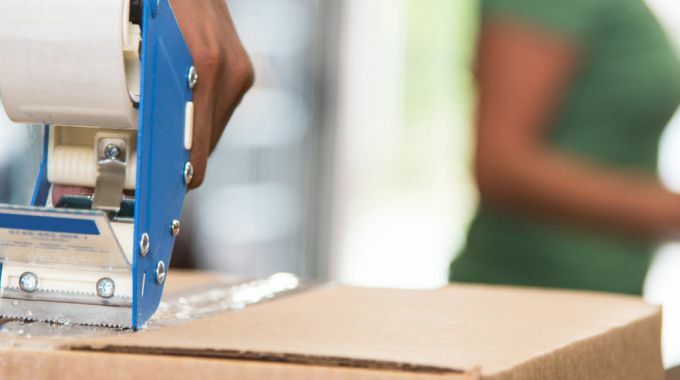 This is particularly useful if you’re dispatching fragile or bulky items. Unsuccessful deliveries can prove an annoying waste of time for growing retailers and brands. With LOVESPACE’s ecommerce fulfilment service, we will track deliveries for you, so if a delivery is unsuccessful, we know about it and we’ll look into it. The path from kitchen table start-up to multi-million pound turnover retailer or brand isn’t quick or easy. But it’s less difficult when you can focus on selecting the right products and growing sales, without having to worry about how or where you store your stock and how you’re going to satisfy orders. We know that sales can be sporadic at times or weighted towards the big dates in the retail calendar. That’s why we’ve built an ecommerce fulfilment service that doesn’t burden its clients with minimum order volumes or long-term commitments. Just transparent, simple pricing. If you think our ecommerce fulfilment service might help you grow your business, talk to our ecommerce fulfilment team on 0333 0112 909. 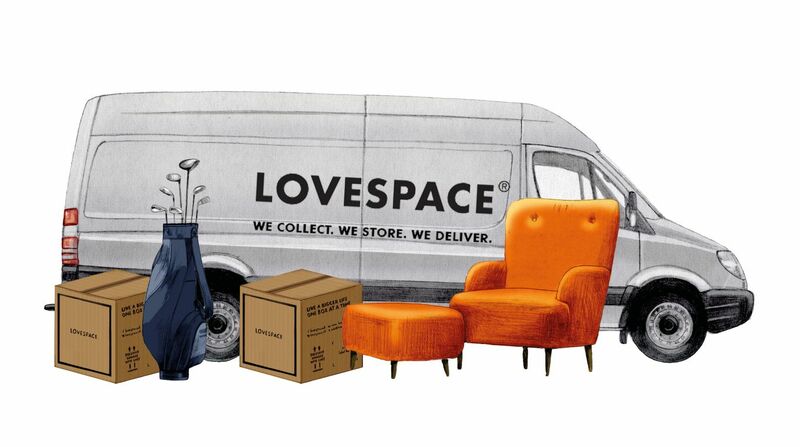 Or get in touch by email on fulfilment@lovespace.co.uk.